65% of new Members saved at least £50 on their buildings and contents cover between July and December 2017. Minimum price £80. As a Mutual company we have no shareholders expecting a return on their investment. That means any future surpluses belong to Members and can be used to support the wider military community and causes. of partners and charities with military connections. The Services Insurance and Investment Advisory Panel, which is recognised by the MOD, is made up of individuals and firms who are insurance and independent Financial advisers specialising in providing services to members of HM Forces. The Confederation of Service Charities provides a single point of contact for interaction with Government,; with the Royal Household; with the Private Sector; and, of course, with other members of the Armed Forces Community. This allows Cobseo members to interact with all interested parties and especially to cooperate and collaborate with others in order to provide the best possible level of support to beneficiaries. X-Forces supports ex-forces and their families to start-up businesses across the UK by start-up loans, mentoring, training and support. They work with service-leavers, reservists, spouses, dependants, veterans and cadets, providing business planning support, government-backed funding, training and mentoring. Defence Discount Service is the only official Ministry of Defence discount service for the Armed Forces, Veterans and Defence Community. The Museums Association is a professional membership organisation based in London for museum, gallery and heritage professionals, museums, galleries and heritage organisations, and companies that work in the museum, gallery and heritage sector of the United Kingdom. Blesma, The Limbless Veterans Charity, is dedicated to assisting serving and ex-Service men and women who have suffered life-changing limb loss or the use of a limb, an eye or loss of sight in the honourable service of our country. The Royal Air Force Benevolent Fund is the Royal Air Force’s leading welfare charity, providing financial, practical and emotional support to serving and former members of the RAF, as well as their partners and dependents. 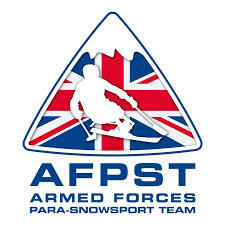 The UK’s Armed Forces Para-Snowsport Team (AFPST) plays a powerful role in the recovery, transformation and personal freedom of wounded, injured and sick serving personnel and veterans. This sporting activity rebuilds their self-confidence and competitive spirit, through snowsport activities. The first point of contact for veterans seeking support. 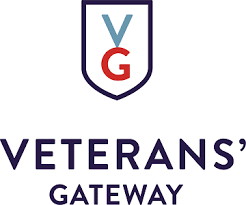 Putting veterans and their families in touch with the organisations best placed to help with the information, advice and support they need – from healthcare and housing to employability, finances, personal relationships and more. The White Ensign is a Naval Charitywhose mission is to inform and provide guidance to all serving and former members of the Royal Navy, Royal Marines, their Reserves and also to their families. 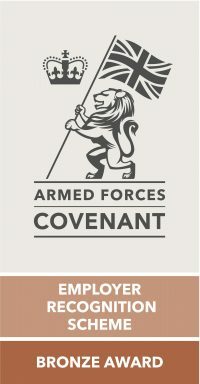 We hold the Bronze recognition award for organisations that pledge, demonstrate or advocate support to defence and the armed forces community, and align their values with the Armed Forces Covenant. And we are working towards the silver award.